Ever since 10 years ago when Pluto was declared “asteroid number 134340” and excluded from the list of Planets in our Solar System, scientists have been looking for the possible existence of another planet – a so-called “planet Nine”, a study published in the Astronomical Journal said. The search for the mysterious planet began in 2014, when astronomers Chad Trujillo and Scott Sheppard proposed the existence of a large, unseen "perturber" beyond Neptune, causing gravitational oddities in the orbits of distant objects like the dwarf planets Sedna and 2012 VP113. Researchers at Caltech (the California Institute of Technology) who discovered 13 objects in the Kuiper Belt beyond Pluto, suggested that they could be moving as they do because they have been caught in the orbit of a huge object. A computer simulation suggested that only a massive planet, about ten times the size of Earth, could have such a huge effect. However, the latest research has suggested that the trans-Neptunian objects (TNOs) in the Kuiper Belt could be disrupted by shepherding gravitational pull by others TNOs. 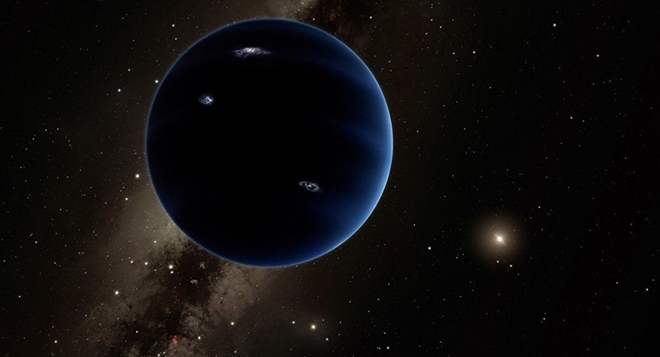 “If you remove Planet Nine from the model and instead allow for lots of small objects scattered across a wide area, collective attractions between those objects could just as easily account for the eccentric orbits we see in some TNOs,” Antranik Sefilian, doctoral student in the Department of Applied Mathematics and Theoretical Physics at Cambridge University in England and lead author of the study, said in a statement. Selifan, who had constructed the model with professor Jihad Touma of the American University of Beirut, was “fascinated” with a Planet Nine hypothesis, yet tried to model the more “natural” cause for the unusual orbits – and their model fully explained the oddly elongated orbits. “While we don't have direct observational evidence for the disk, neither do we have it for Planet Nine, which is why we're investigating other possibilities. It's also possible that both things could be true — there could be a massive disk and a ninth planet. With the discovery of each new TNO, we gather more evidence that might help explain their behaviour,” Selifan added. The hypothesis also suggested that there are a lot more TNO’s in the Kuiper Belt – which is composed mostly of the icy objects left drifting around the Sun after the system was formed – than have been discovered so far. The model works, according to the scientists, only when assuming that the mass of the Kuiper Belt is a few to 10 times that of Earth. The Belt remains mostly undiscovered by astrophysicists, but the most recent research suggests that its mass is less than 10 percent that of Earth, with one recent study putting the figure at 2 percent of the Earth’s mass. However, Sefilian and Touma noted, other solar systems are known to harbour massive icy objects on their edges and that just because one hasn’t been discovered yet in ours, it does not mean that one doesn’t exist.